Molecular Deuce is new puzzle game followup to the successful iPhone and iPad game Molecule. 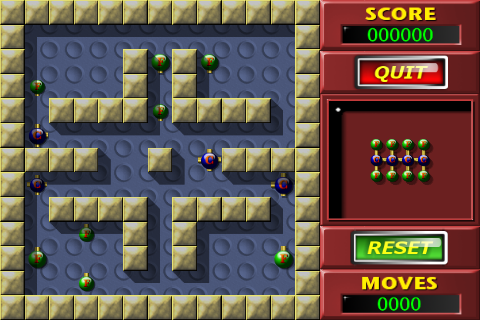 Molecular Deuce offers 60 levels worth of enjoyment where your goal is to get push all the atoms together to make the molecule shown. If you liked the original you're going to love this game! The goal is to move the atoms around the screen to create the molecule shown on the right of the screen. The faster you do this, the better, as any time remaining when you complete the molecule will be converted to points and added to your score. You can only slide the atoms horizontally or vertically and they don't stop until they hit a wall or another atom. You can put your molecule together anywhere on the screen that it will fit. If you think you are stuck you can reset the level to try again. 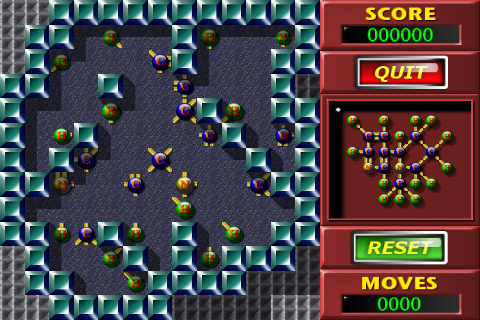 Molecular Deuce is a clone of the game Atomix, released in 1990, created by Softtouch (Guenter Kraemer) and published by Thalion Software.